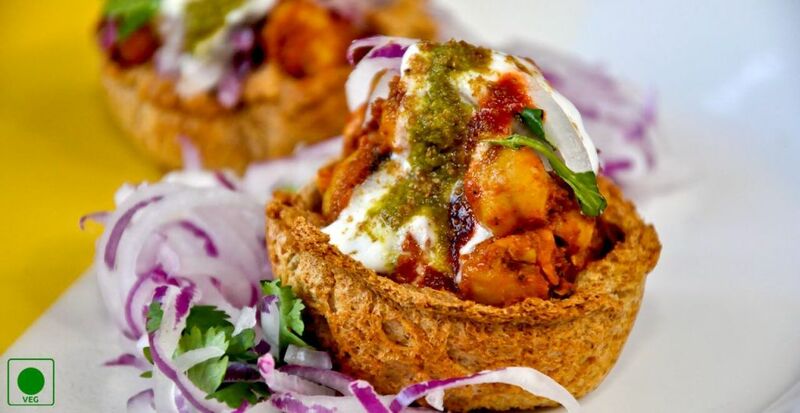 Bread chaat is instant chaat recipe which is very easy to make with the commonly available food Ingredients at home. Bread chaat is healthy snacks for kids. You can make this bread chaat when you try to make some instant food for your children which not only make them happy but also healthier for them. Bread chaat is made with bread (you can choose wheat bread or maida bread), cucumber, onion, tomatoes, etc. Let’s make this yummy bread chaat together and enjoy it. 1. Break the bread into small pieces. 2. In a bowl, add chopped cucumber, tomatoes, onion, carrots, pepper powder, lemon juice and salt to it and mix them well. 3. Serve this delicious bread chaat in a serving bowl and garnish it with nylon sev, fresh coriander leaves and chopped onion. 4. Instant bread chaat is ready to serve.